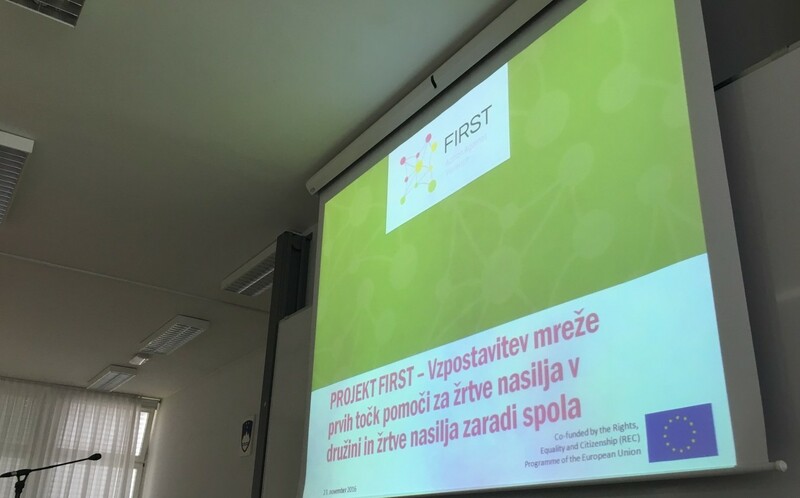 In the period from May to November 2016, the FIRST project was presented in Slovenia to more than 80 participants coming from schools, public administration institutions, as well as private companies from both foreign countries and Slovenia that have attended different Erasmus+ courses and meetings in the scope of different projects in Slovenia. On the 23rd of November 2016, the FIRST project, e-learning tool and e-environment were presented to more than 60 representatives of Slovene police and Centres for social work at a conference organised at the Police academy in Ljubljana. The events and presentations offered a chance for an exchange of the information, good practices and ideas for implementation of prevention programmes in the field of domestic and gender-based violence in different organisation.